Exclusive to Danetti, the Acute Matt White and Black Square Coffee Table is the perfect way to add a contemporary look to your living room. 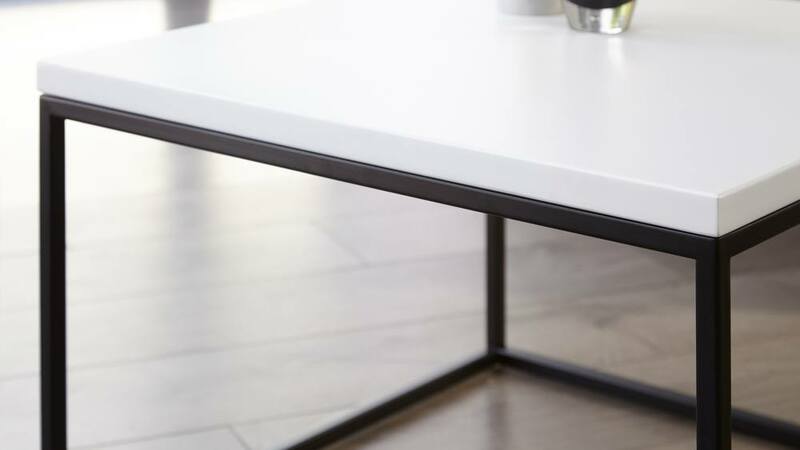 The combination of the smooth matt white top and sleek black frame are a match made in heaven, while the simple square shape makes this modern coffee table the ideal fit for a range of interiors. At 60 cm x 60cm, the Acute coffee table is ideal for when you need a usable coffee table but you don't have loads of space. The shape and size mean this table is both stylish and practical. 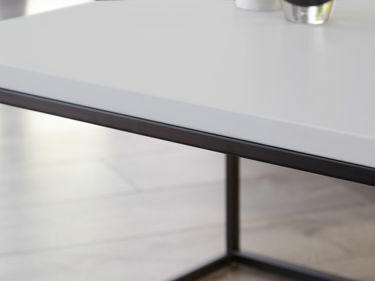 A matt table surface is a great alternative to gloss as it still has a wonderfully fresh and modern feel, it's just not as shiny. Matt surfaces are so tactile and are incredibly easy to style alongside other finishes in your existing interior. 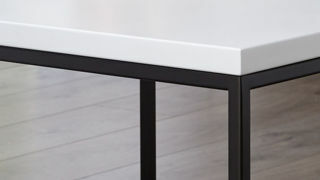 The black powder coated leg frame is a sleek contrasting feature to the white top, giving the Acute table a really clean and crisp monochrome look. Like the matt table top, the black powder coat is far less shiny than gloss and has such a smooth a tactile feel. The Acute looks great as a stand alone piece or you can style it with another Acute table to create a larger unit that can be separated when needed. 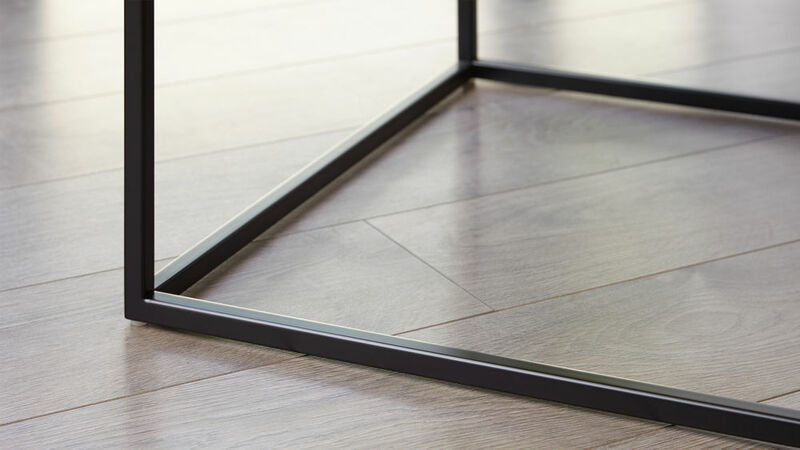 The frame of this coffee table comes fully assembled, giving the Acute such a sleek and seamless look. Its strong, durable and seamless joints give the Acute table that straight-out-of-the box wow factor! This modern coffee table also comes with floor protectors. 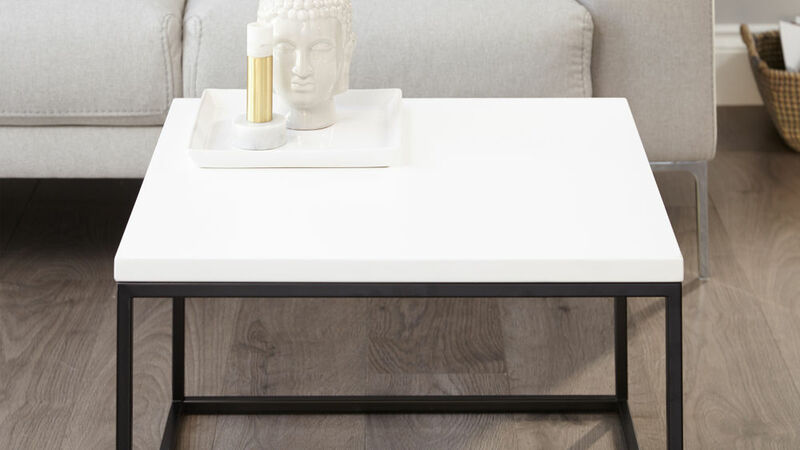 This is such a subtle but important feature as it means that you can place this coffee table on both hard and carpeted flooring without worrying about creating marks. 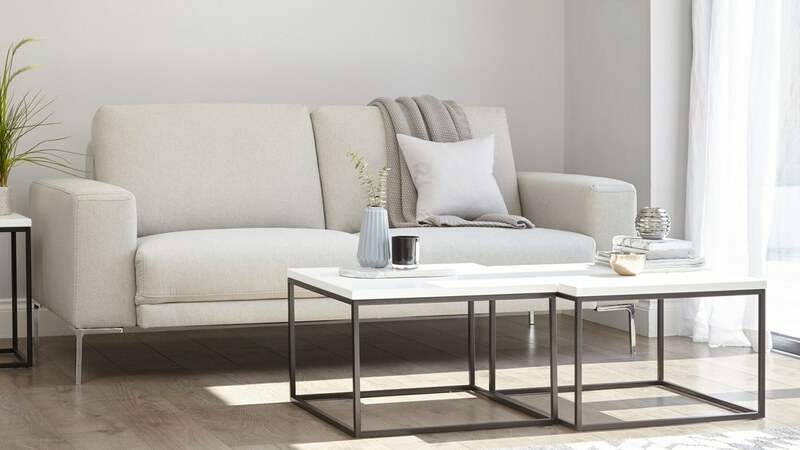 With its simple shape and contemporary design, the Acute Matt White and Black Square Coffee Table is an effortless way to update the look of your living room interior, while adding a stylish space to place your drink. After a slightly different finish? Why not take a look at the Acute Matt Grey and Black Square Coffee Table. Delivery: Delivered to you 13 weeks approx. 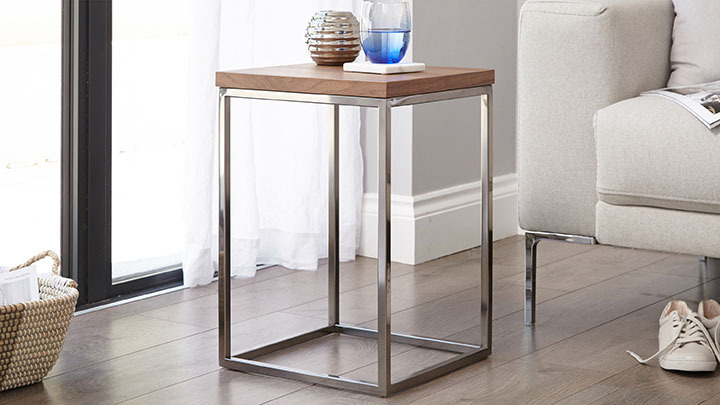 What makes the Acute Matt and Black Side Table so versatile is its simplicity. 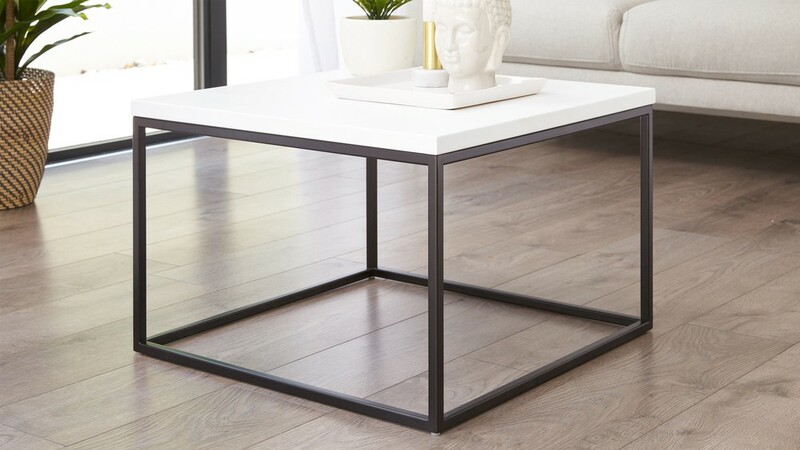 Combining a sleek square table top and seamless leg frame along with contemporary monochrome finishes means that this coffee table not only looks great on its own, but it can also be styled alongside another Acute table to create a larger unit that can be rearranged and separated when needed.